Airbnb is a global hospitality company pairing homeowners, hosts, wanting to rent out their properties with tourists. They fell to BDS propaganda deciding to boycott, delist, Jewish hosts in Israel. They were sued, sanctioned by one of their biggest markets -the state of Florida – and came under more pressure than they expected. With revenues in the millions and dreams of going public, Airbnb is now settling a discrimination lawsuit and correcting a big political error. In November 2018 Airbnb announced that it would ban Jewish property owners in Judea and Samaria, also known as the West Bank, from advertising on its site after objections from groups seeking to boycott Israel. The Airbnb site posted the following announcement. Airbnb would, however, continue to list Arab homes in Arabs neighborhoods in the so-called West Bank. Airbnb fell for the anti-Israel BDS language. The land is not “occupied.” That term is used by Israel’s enemies. The delisting of Jewish hosts caused outrage from the anti-Defamation league and others. It also sparked the lawsuit by a group of 12 U.S. – Israeli Jewish property owners. Shurat Hadin, a Televiv legal group that fights BDS and terror financing, was behind the lawsuit with help of U.S attorneys. “When Airbnb publicly announced its redlining policy barring rentals of Jewish-owned properties… It stated it would no longer agree to list these homes due to claims that such properties are located in Palestinian-owned territories illegally occupied by Israeli settlers. The plaintiffs claimed the policy was in violation of the U.S. anti-discrimination law Fair Housing Act. Airbnb is a U.S. based company based in San Fransisco. In the lawsuit, the plaintiffs requested that the court command Airbnb stop discriminatory practices against Jewish homeowners and sought compensation for lost rental income. The BDS related policy of Airbnb caused the newly elected governor of Florida, Ron Desantis, to impose sanctions against Airbnb. In January 2018 the Governor barred the reimbursement to State employees for Airbnb rentals when traveling on state business. Airbnb settled the lawsuit and announced on April 9th, 2019 that it would rescind its decision to remove ads of Jewish homeowners in Judea and Samaria. Even though they had participated in it, they are now discrediting the BDS movement. The Boycott, Divest and Sanction (BDS) movement is an Arab based propaganda campaign to delegitimize and economically harm Israel. A huge defeat to the BDS movement. Israel is a Strategic Partner of the United States. The individual States have strong business dealings with Israel. The passage of anti-BDS laws in various States has issued warnings to those trying economically attack such an important ally and business partner as Israel. BDS is a lie, an evil anti-Semitic political movement. The U.S. will not stand for any economic or other boycotts of Israel or the Jewish people. Welcome back Airbnb. 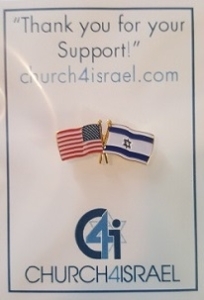 The supporters of Israel, those of us who know the truth, can now do business with you again.